On Tuesday, February 7th, Congressman Chris Collins (NY-27) and Congressman Bill Pascrell, Jr. (NJ-9) announced the introduction of H.R. 931, the Firefighter Cancer Registry Act with 76 bipartisan original sponsors. Senator Susan Collins (ME) has been selected as the chair of the Congressional Fire Services Caucus for the 115th Congress. On January 30th, Congressman Bill Pascrell, Jr. (NJ-9) and Senator Robert Menendez (NJ) introduced the Campus Fire Safety Education Act. On Monday, January 9th, the House approved H.R. 304, the Protecting Patient Access to Emergency Medicines Act by a vote of 404-0. The 114th Congress has adjourned after approving a continuing resolution to fund the federal government through April 28, 2017. On Wednesday, September 28th, both the House and Senate approved H.R. 5325, a 10-week continuing resolution funding the federal government through December 9, 2016. On September 21, 2016, the House Energy and Commerce Committee unanimously approved H.R. 4365, the Protecting Patient Access to Emergency Medications Act. 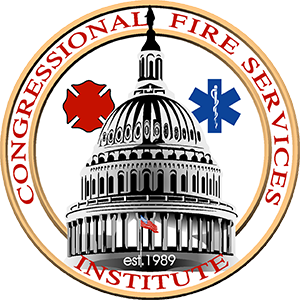 On September 21, 2016, the Senate Finance Committee unanimously approved legislation preserving incentives for volunteer firefighters and EMS personnel. Congress is making the final push to approve a continuing resolution before the fiscal year ends on September 30, 2016.